Adrienne and I have been on the go this year, and it ain’t stopping at all next year! 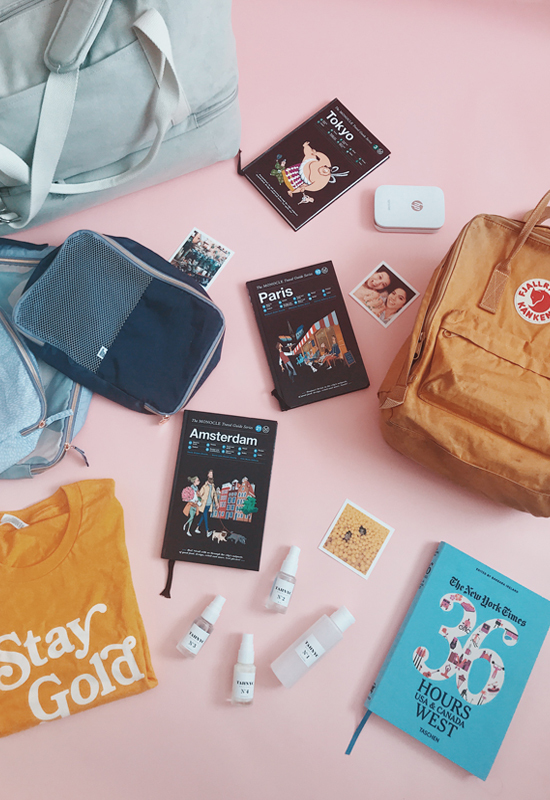 We wanted to share with all of you our tried and true favorites for when you’re feeling that itch to get out of the house and explore for a few days. 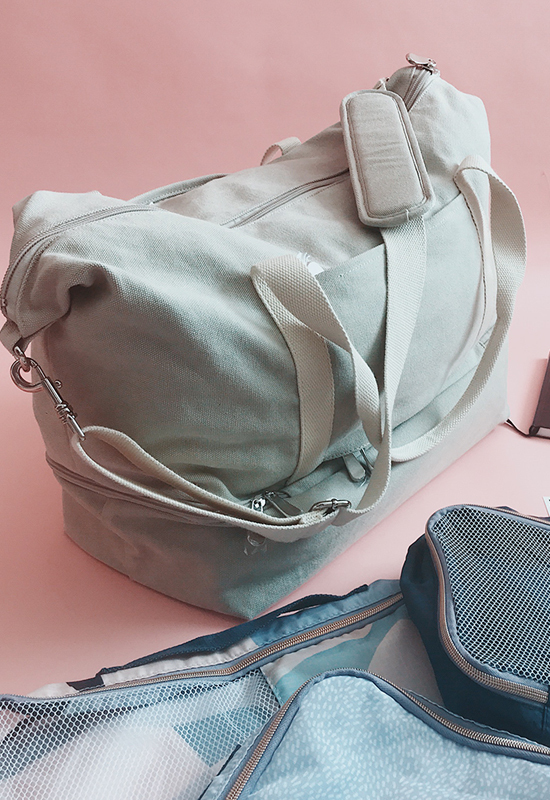 Whether it’s an overnight trip, a weekend getaway to another state, or completely out of the country, these products have always served our needs and kept us feeling just a bit more chic and less schleppy on the plane or in the car. 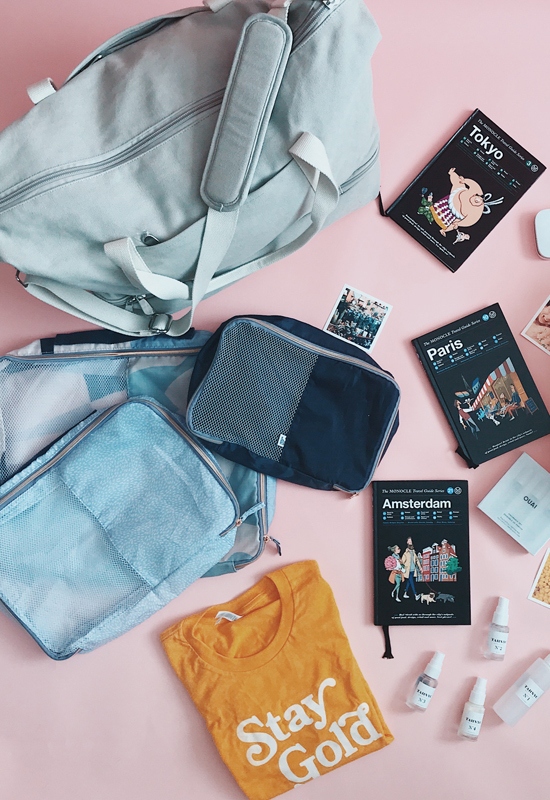 We can bet anyone with a case of the travel bug would love any of these items as a gift. Check out the details at the bottom of this post, and let us know if you get anything from this list. Lo & Sons – Catalina Weekender Bag – The Catalina weekender bag has worked wonders for trips to the coast, LA, and beyond. It’s really weight and room; it’s even designed so that you can also carry boots and shoes without dirtying your other clothes. Now is a good time to buy one because they’re on SALE! Fjallraven Kanken – We are obsessed with our Kankens. It’s so sleek and packs a lot of power into a tiny backpack. It’s also durable as heck because you may have noticed that I tend to throw mine around and bring it wherever I go. My Kanken is always my “purse” carryon. 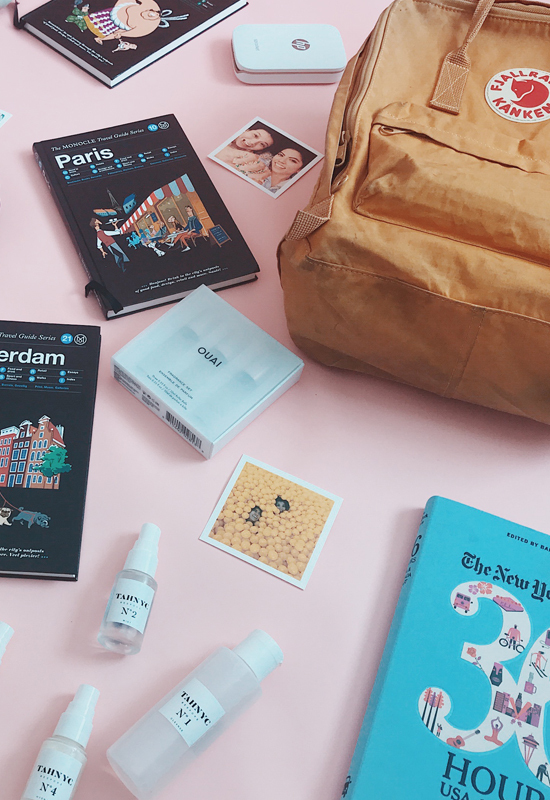 Monocle Travel Books – I’m a huge fan of Monocle because I feel like I’m being taken off the beaten path when I read their travel guides. I like how they find local joints to explore, create gift guides based on the country visiting, and also add novellas about the city by the people who lived in it. Designlovefest Packing Cubes Set – Bri just gets me. The design of the cubes is gorgeous and makes organizing all of my clothes that much nicer to do. It’s also really sturdy for being so lightweight. HP Sprocket Portable Photo Printer – We love this little hardworking photo printer! It can print photos directly from your instagram so when you take that beautiful shot at Joshua Tree, you can actually have a tangible memory of the experience. Artifact Uprising Prints – Artifact Uprising has been my go to print company from my wedding in Palm Springs to my trip to Mexico. I’ve created several books with them and they are more gorgeous than I could have imagined. The quality is way above my expectations. Making a travel album with them would be a thoughtful and cherished gift. NYT 36 Hours – I also found myself searching the New York Times archives for their 36 hours articles right before I go on a trip. This year I wanted to explore a bit more around my area, and found this book to be perfect for my needs. This book was my guide to Big Sur, and there’s where I found the magical Deetjen’s. Tahnyc Personalized Skin Care Set – The whole set came travel sized and it was perfect for my week in Memphis and Nashville. This is a great product to keep on hand so when you land, you can quickly freshen up and feel good. My skin was so soft and dewy. Andddd…our studio manager wanted to be part of the shoot as well.